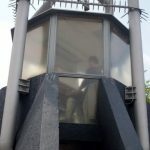 The idea to create a Freedom Carillon was put forward by the famous Dutch journalist and politician Gerrit Jan van Heuven Goedhart, one of the members of the National Remembrance Committee after World War II. 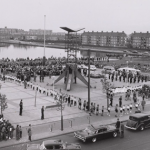 In order to achieve this project a subcommittee ‘vrijheidsklokken’ was created in 1949. 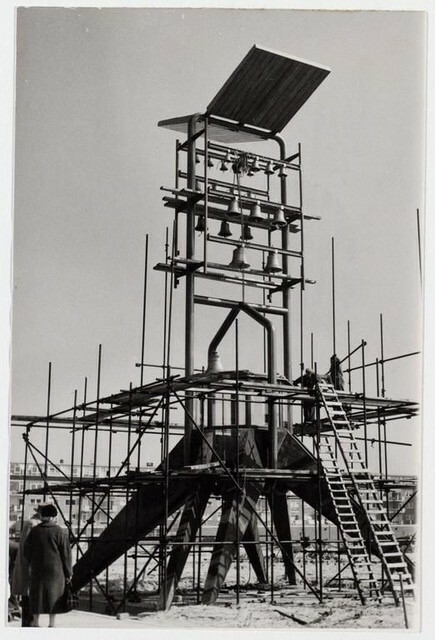 Donations for the carillon came from the whole Dutch population and in 1952 the Van Bergen bell foundry cast a carillon of 23 bells. The bourdon was called after Princess Wilhelmina, the following wo bells after Queen Juliana and Prince Bernhard. The next eleven bells were named after the then 11 Dutch provinces. Inscribed on the nine smallest bells is the national motto of the Netherland Je maintiendrai (‘I will persist’). 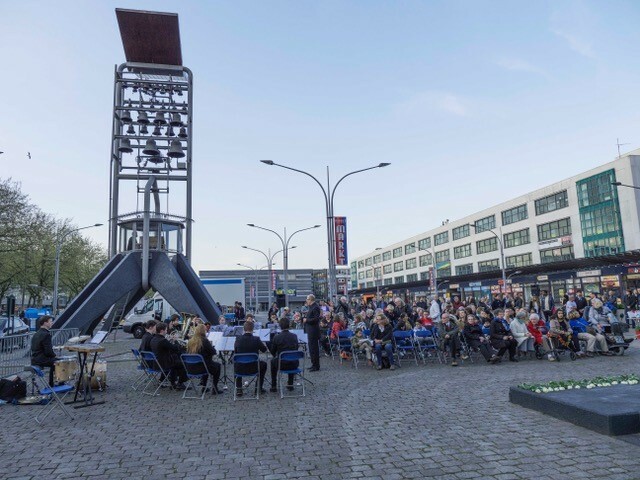 As the most severely damaged city during the war, the city of Rotterdam applied to house the instrument. Eventually the capital city of Amsterdam was chosen as the location of the Freedom Carillon. 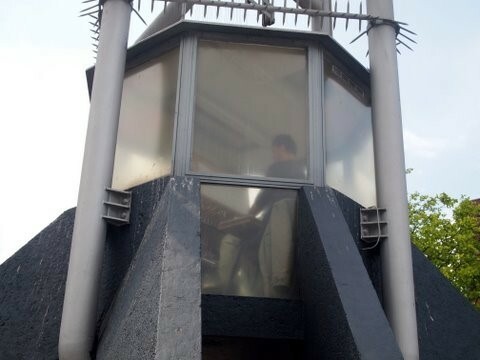 A structure to house the bells was built on Plein 1940-1945 in the borough of Slotermeer. 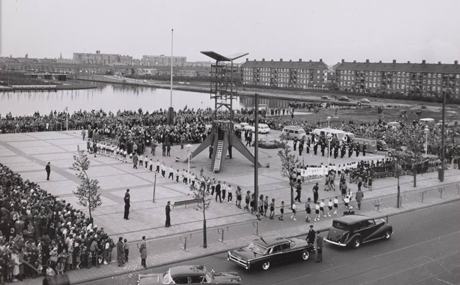 The inauguration took place on 4 May 1961 Queen Juliana activated the automatic playing system and Mr. Romke de Waard gave the inaugural recital, performing national Dutch songs together with the Amsterdam Police Band. 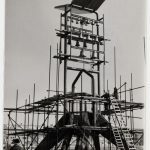 In 1995 the carillon was enlarged to 31 bells. 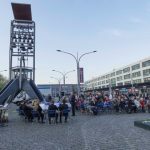 The initial idea was that the carillon would keep alive the memory of the war and the occupation by playing a Duch resistance song on a daily basis. This concept was not carried out.